It's our liveblog of Samsung's Galaxy S4 launch event, live from NYC! 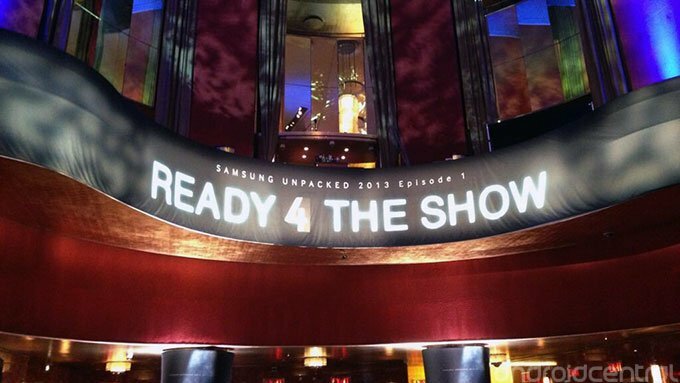 We're live the Radio City Music Hall in New York City for what is expected to be the unveiling of the Samsung Galaxy S4, easily the most anticipated Android phone since the Galaxy S3. Bigger? Better? Faster? More features? All likely talking points going into tonight's event. The event officially kicks off at 7 p.m. EDT. That's 4 p.m. on the left coast, and 11 p.m. in the UK. Bookmark this page. Leave it open. E-mail it to your friends and family. And join us after the break for the one and only Android Central liveblog of Samsung's Galaxy S4 event.